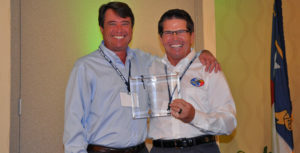 We were recently honored to receive a national award! 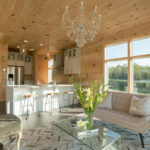 The 2019 BSC Jerry Rouleau Award for Excellence in Home Design was awarded to us for our new Luxe 1 home. 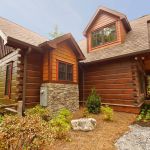 This entry was in the Log Home (under 2,000 sqft) category. 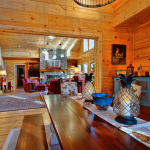 This was awarded for our New Luxe 1 model home located at our model center in Campobello, SC. 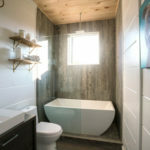 It features a clean, modern look with large windows and high-end finishes. The Luxe 1 is the first in a new series designed by Sarah Smith. 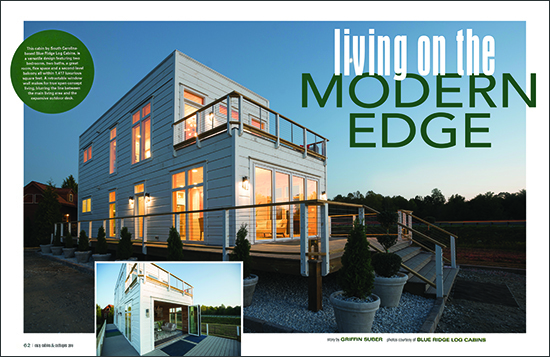 Our New Luxe Model Featured in Cozy Cabins & Cottages Magazine! 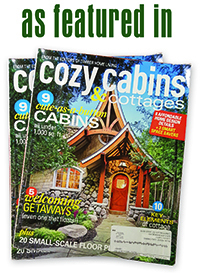 The next time you are at a newsstand look for a copy of Cozy Cabins & Cottages Magazine. 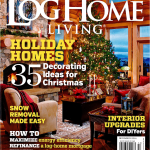 Inside you will find a feature article about our new Luxe Model. 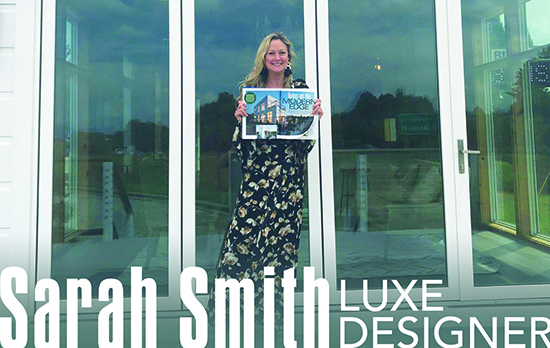 The article is about the innovative design and has a few blurbs from the Luxe designer, Sarah Smith. 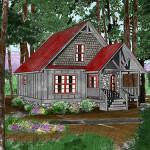 Sarah’s unique twist on a traditional log cabin will certainly open the possibilities as you plan your project. 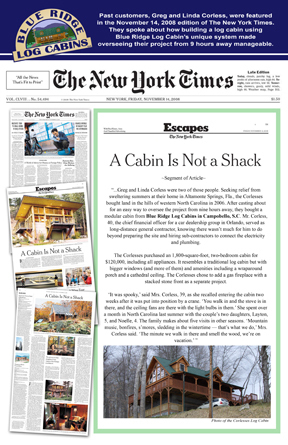 Cozy Cabins & Cottages is a publication by the editors Timber Home Living. 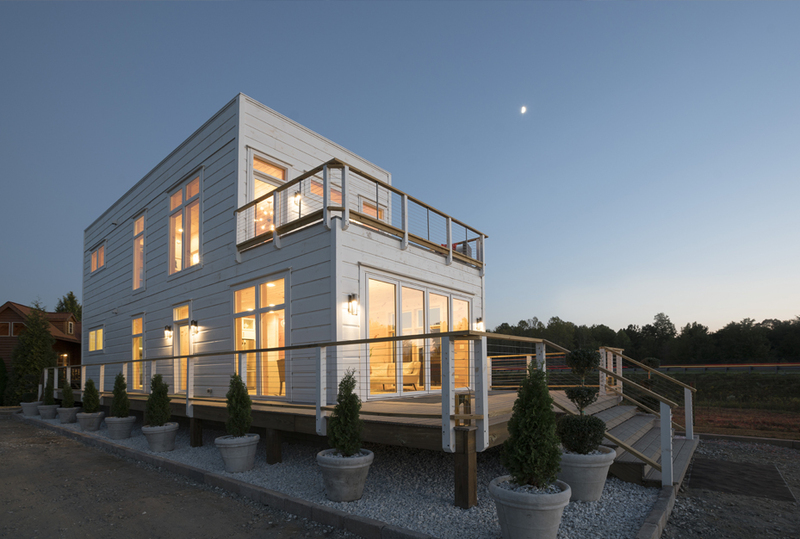 Introducing Our New Model and Architectural Style! 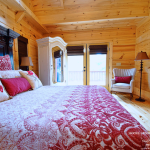 Blue Ridge Log Cabins (BRLC) is pleased to introduce the Luxe 1. 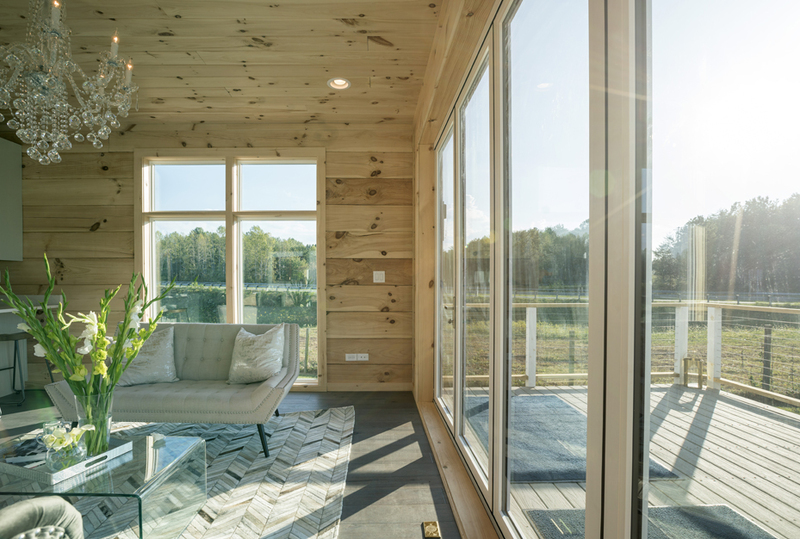 The new model home at their sales center in Campobello, SC is catching everyone’s eye and creating a buzz across all demographics. 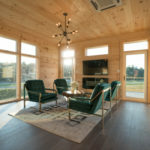 This home is the first design from BRLC’s in-house designer Sarah Smith-Davis and is a fresh, contemporary take on the traditional log cabin. 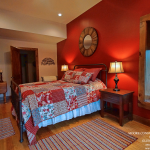 This 1,417 sqft home features an open living area, two large bedrooms, two designer baths, a second floor living space with balcony, and is offered fully upgraded for a comfortable lifestyle. 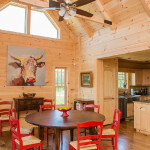 The designer incorporated high-ceilings along with large windows to give this home a sense of space beyond its size. 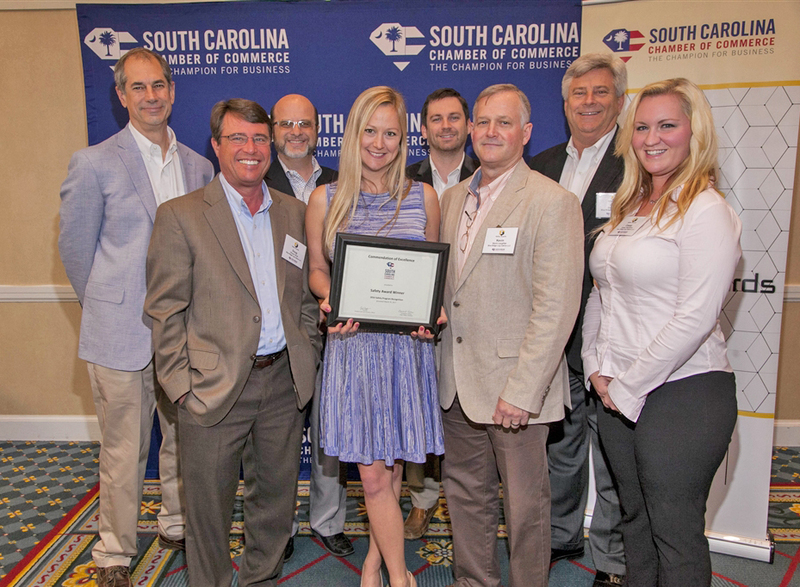 Blue Ridge Log Cabins (BRLC) was recognized at the SC Chamber of Commerce’s Safety Luncheon for no lost time accidents for 3 consecutive years. 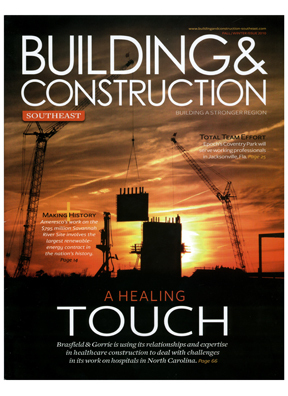 This is such an amazing achievement – many people do not fully understand what “Days Without A Lost Time Accident” actually means or why it is important…but did you know that- “Every year, more than 4.1 million workers suffer a serious job-related injury or illness.”(OSHA.gov) So the fact that BRLC has 1,000 days-almost 3 years WITHOUT A LOST TIME ACCIDENT, that is pretty amazing and shows how committed to safety BRLC workers and their supervisors are! 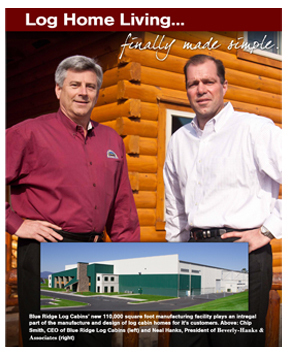 Congratulations to everyone at Blue Ridge and thank you for continuing to follow the high Blue Ridge Safety standard! 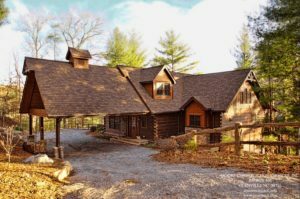 Earlier this year, Log Cabin Hub, ran the award for America’s Favorite Log Homes 2017, and Blue Ridge Log Cabins was nominated with their Custom Jocassee V log home along with 41 other beautiful log homes. 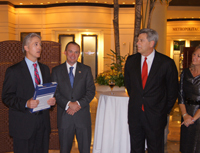 The contest was the first of its kind and opened up the vote to everyone across America rather than a set panel of judges, with the aim that the competition results would truly reflect the American public. In total more than 11,000 people voted, and we’re delighted to announce that Blue Ridge Log Cabins made the top ten and are pleased to award the Custom Jocassee V as one of ‘America’s Favorite Log Homes 2017’. 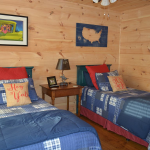 The Custom Jocassee V is designed, first and foremost, for maximum family comfort. 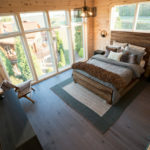 The A-frame styling, expansive glass and vaulted ceilings welcome the sunshine in to warm your home, while optional expansive decking offers plenty of privacy and lots of space. 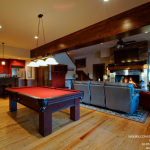 We would like to extend our sincere thanks, to all our customers and supporters who voted for The Custom Jocassee V! 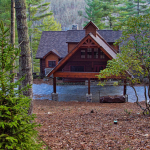 Log Cabin Hub is one of the world’s largest online publications dedicated exclusively to Log Homes providing expert knowledge on log cabin construction. 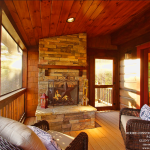 We were recently honored to receive two awards of distinction from the 2017 Jerry Rouleau Awards for Excellence in Marketing and Home Design. 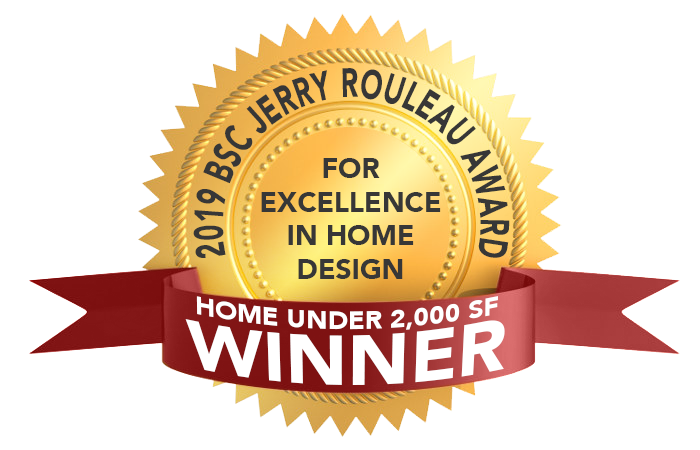 The first award was the 2017 Jerry Rouleau Award for Excellence in Home Design, Home of Distinction. 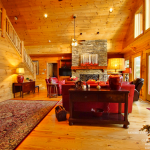 This entry was in the Log Home (3,001 – 4,000 sqft) category. 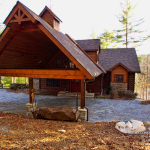 This was awarded for our 3,414 sqft lake side home located in Cashiers, NC. 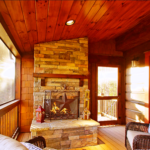 It features dove tail log, cedar shake, stone, and board and batten siding. The second award was the 2017 Jerry Rouleau Award for Excellence in Marketing, Entry of Distinction. 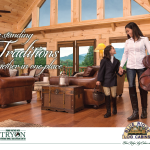 This entry was in the Builder/Dealer Marketing Materials category. 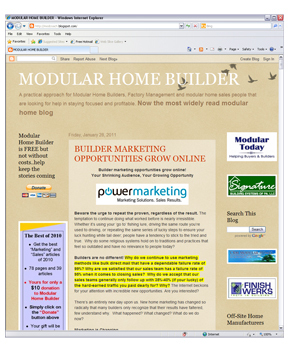 This was awarded for our 20 page Builder Development Booklet. 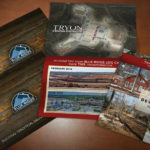 This booklet highlights noted past projects by our Builder Development team. 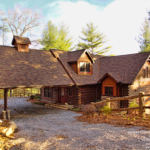 This gorgeous home is located 10 minutes from the Tryon International Equestrian Center and was one of the first exciting homes we built from our Mountain Architecture series. 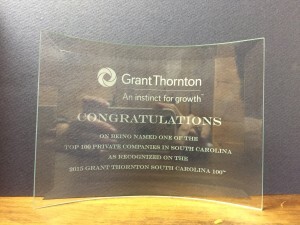 Blue Ridge Log Cabins Wins Grant Thorton Award for being one of the Top 100 Private Companies in South Carolina! 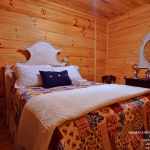 Campobello, SC, November 7, 2015—Campobello- based log home manufacturer, Blue Ridge Log Cabins, received two national home building accolades as part of the 2016 Jerry Rouleau Awards for Excellence in Marketing and Home Design presented by the National Association of Home Builders (NAHB) Building Systems Councils (BSC) and the Log and Timber Homes Council. 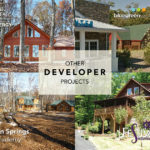 Blue Ridge Log Cabins was honored on Nov. 6, 2015, during the BSC’s Building Systems Showcase, the only national conference and educational event focused exclusively on the systems-built industry. 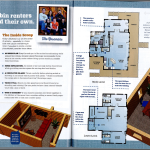 Winning an award in the category for Modular Home Design with its 1,300sqft poplar bark home and also winning the award for Best Marketing Print Ad featuring the 2 page spread that was created for “Untacked” Magazine. 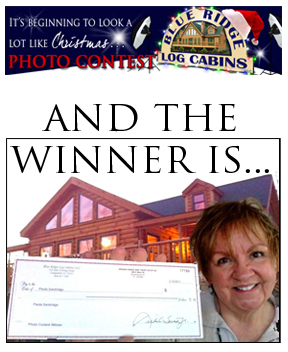 The first ever Blue Ridge Log Cabin Facebook contest ended with great success and many happy Blue Ridge customer participants. 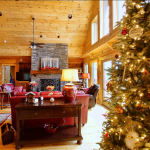 “Log home living really can be simple,” says Chip Smith. 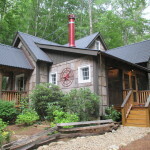 “And our association with Beverly-Hanks is such a good idea.” The idea to which Mr. Smith refers is the relationship of his Blue Ridge Log Cabins (625 East Frontage Road, Campobello, SC 888 -563-3275) with Beverly-Hanks & Associates (real estate offices throughout Western North Carolina, 866-858-2257). 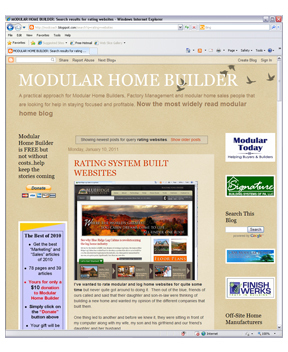 I’ve wanted to rate modular and log home websites for quite some time but never quite got around to doing it. 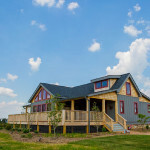 Then out of the blue, friends of ours called and said that their daughter and son-in-law were thinking of building a new home and wanted my opinion of the different companies that built them. 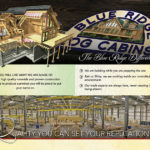 Gresham Barrett recently visited Blue Ridge Log Cabins to address the employees about his run for South Carolina Governor. 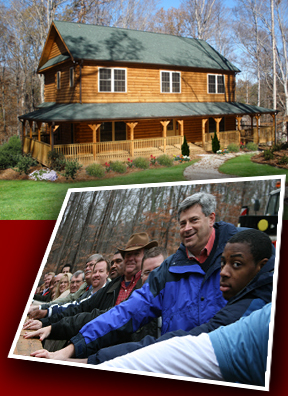 John Moore recently visited Blue Ridge Log Cabins to announce his candidacy for South Carolina House District 38. 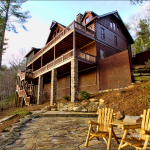 This district serves the area that includes Blue Ridge Log Cabins and is home to many of it’s employees. 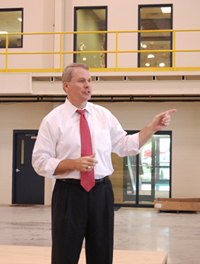 John addressed the employees of Blue Ridge to announce his intentions to seek office and later provided lunch for everyone. 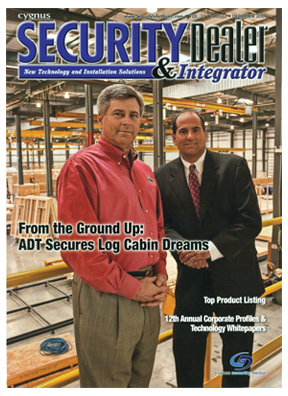 Securing your home with a state-of-the-art security system seems like a no brainer today but what about when it comes to those facilities with large investments in construction equipment and materials, as well as a large workforce and frequent visitors? 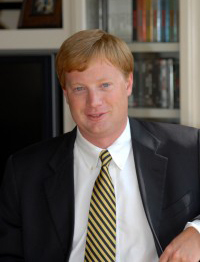 In order to avoid a panic, Milton “Chip” Smith never says the word “fire” while he’s at work. 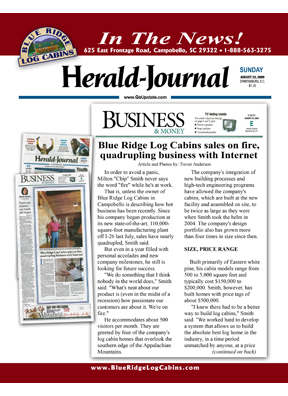 That is, unless the owner of Blue Ridge Log Cabins in Campobello is describing how hot business has been recently. 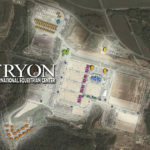 Since his company began production at its new state-of-the-art, 110,000-square-foot manufacturing plant off I-85 last July, sales have nearly quadrupled, Smith said. 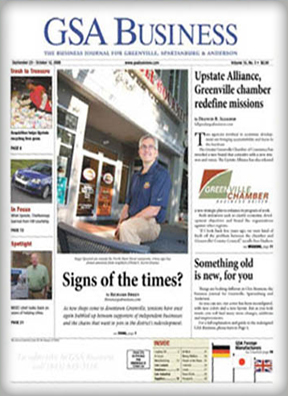 Four graduates of the University of South Carolina Upstate were honored at the Spartanburg Area Chamber of Commerce’s annual meeting as the organization hailed the county’s top business leaders from 2008. Greg and Linda Corless were two of those people. 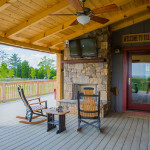 Seeking relief from sweltering summers at their home in Altamonte Springs, Fla., the Corlesses bought land in the hills of western North Carolina in 2006. 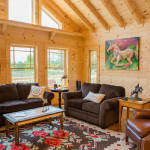 After casting about for an easy way to oversee the project from nine hours away, they bought a modular cabin from Blue Ridge Log Cabins in Campobello, S.C. Mr. Corless, 40, the chief financial officer for a car dealership group in Orlando, served as long-distance general contractor, knowing there wasn’t much for him to do beyond preparing the site and hiring sub-contractors to connect the electricity and plumbing. 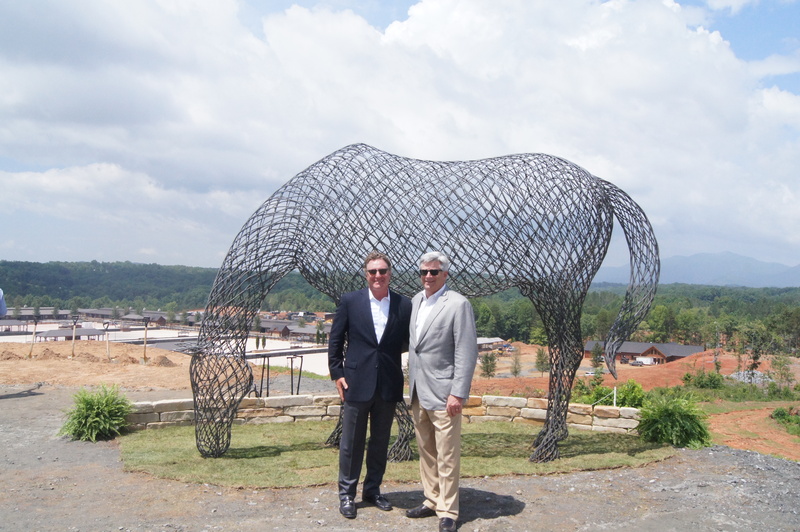 Mike Raney, CEO of Glenn Springs Academy, formerly the Spartanburg Boys’ Home, remembers standing on the densely wooded hillside behind campus a little over a year ago with a picture in his mind. 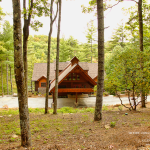 Dreaming of a serene lifestyle in a natural setting? If so, that flatbedtruck ahead of you on the interstate could be carrying your next home. 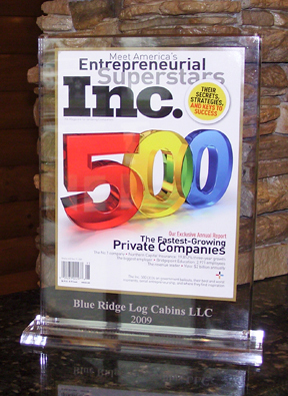 We are pleased to announce that Blue Ridge Log Cabins has earned a rank on Inc. Magazine’s 2008 Inc. 5000 list, which celebrates the 5000 fastest-growing private companies in America. 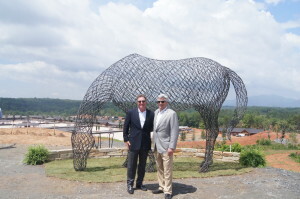 For more than 27 years, the Inc. 5000 list has served as a benchmark for the most innovative, dynamic, and successful companies in the nation. 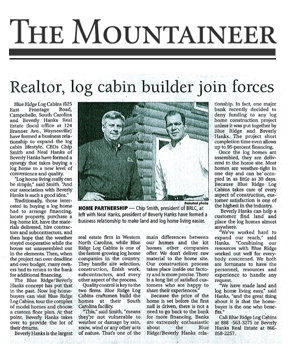 As an Inc. 5000 honoree, Blue Ridge Log Cabins is now a member of the most influential business club in America. Inc. 5000 alumni include Bill Gates of Microsoft, Larry Ellison of Oracle, and many more. 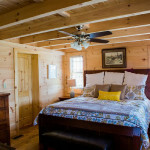 To read about Blue Ridge Log Cabins meteoric growth click on an article.